The State Bank of India is one of India’s largest employers in the banking sector in the country. Securing a job in SBI has the perks of both a private, and a government job. For instance, career growth, opportunities of learning and fulfilling work is definitely provided, but at the same time the employees also have job security, financial independence, and definite recurring income. Therefore, undoubtedly, the SBI SO Recruitment process is not only challenging but is also highly competitive. In order to ensure that you remain ahead of the competition, an aspirant must ensure that the details relating to the exam such as fees, last dates, syllabus, and other critical information pertaining to the exam is in their knowledge. As soon as the Board releases the SBI SO Recruitment 2019 examination fee, a direct link shall be provided by this webpage or at https://www.sbi.co.in/careers/ or the benefit of the candidates appearing for the examination and to make sure that there are no difficulties in downloading the SBI SO Recruitment 2019 details related to the examination fees. If you’re looking to access the examination fee details, or in a hassle-free, easy manner, then bookmark this webpage for constant updates relating to the examination. SBI SO Recruitment 2019s hall be provided for all interested candidates here shortly. Only online application mode is accepted. The fees for all candidates is a total of Rs. 600, except for Schedule Cast and Schedule Tribe Candidates whose fees are Rs. 100. The SBI SO 2019 notification has finally been released. The entire selection process and dates are a critical aspect of any aspirants life as it has the ability makes or breaks the career of an individual. If you wish to know the SBI SO Recruitment 2019, please read further. The importance of keeping track of the important dates of the examination cannot be overstated and the last date of submissions must be particularly in the minds of the candidates as no applications post the last date will be accepted for the examination. Watch out for the SBI SO 2019 apply online to make an opportunity for yourself. 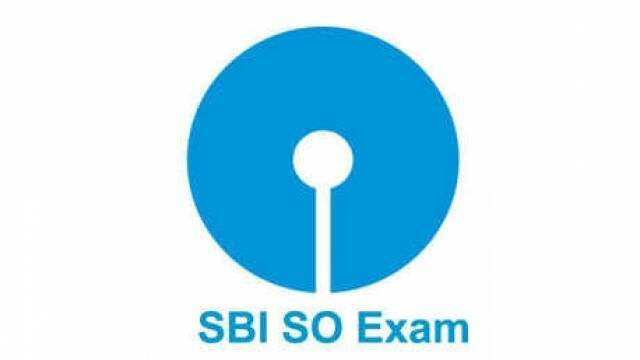 The SBI SO 2019 exam date will be posted here. One of the primary and most important aspects that eliminate or qualify a potential aspirant for a job are basic eligibility requirements such as educational qualification requirements, minimum and maximum age requirements, and experience related requirements. To be able to qualify for the SBI SO Recruitment process, candidates must ensure that they meet the SBI SO eligibility requirements prior to applying for the exam, failing which their application will be rejected. Check out the following SBI SO 2019 Eligibility requirements. Make sure you adhere to the age limit to become an SBI SO IT Officer 2019. The following age and eligibility requirements must be followed in order to gain a successful application for the SBI SO Recruitment. Currently, for this particular exam, there are a total of 31 vacancies. The selection process is extremely important to be aware of for SBI So Recruitment 2019. The SBI SO Recruitment 2019 conducts its examinations every year through a unique and time tested method. Although the exam Details including cut-offs, and various other information has currently not been released by the board, we shall keep updating the page to reflect any developments, and therefore it will be prudent for SBI SO Recruitment 2019 aspirants or any other interested parties to visit the page often for details pertaining to the SBI SO Recruitment 2019. We also provide the opportunity to students to obtain their exam details including cut-offs, and various other information and admit card on this page. It is very easy to apply for the SBI SO Recruitment exam as the only preferred and easy mode of application is the online mode of application. To apply for the exam, the following links maybe easily followed in order to ensure that you can access various information pertaining to the exam. Ensure that you only access verified and legitimate links pertaining to the exam in order to ensure that you get the correct and most accurate details pertaining to the exam without any confusion. By following any of these links, one can easily access the information relevant to the SBI SO Exam 2019 for all of their needs by following these simple steps.